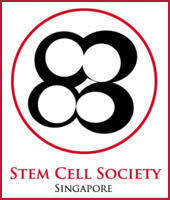 The Stem Cell Society Singapore (SCSS) is pleased to announce the inaugural competition for the SCSS Dr. Susan Lim Award for Outstanding Young Investigator supported by the Dr. Susan Lim Endowment for Education and Research. This inaugural award is modeled after the International Society for Stem Cell Research (ISSCR) Dr. Susan Lim Award for Outstanding Young Investigator that recognizes the exceptional achievements of an investigator in the early part of his or her independent career in stem cell research. This new award emphasizes the numerous and continued contributions of Singapore-based researchers toward understanding the fundamental biology of stem cells and promoting their potential as powerful tools in disease modeling, drug screening and regenerative medicine.